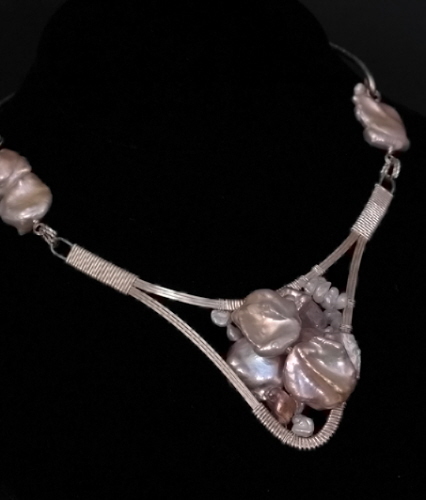 A cluster of pearls, of varying sizes and shapes, creamy golden in hue, and multiple techniques in wire work combine to make this a truly one-of-a-kind piece of wearable art and an award winning piece. 1st place and Division Winner, Orange County Faire, 2013, Wire Wrap Jewelry Division, Single Item or Suite. 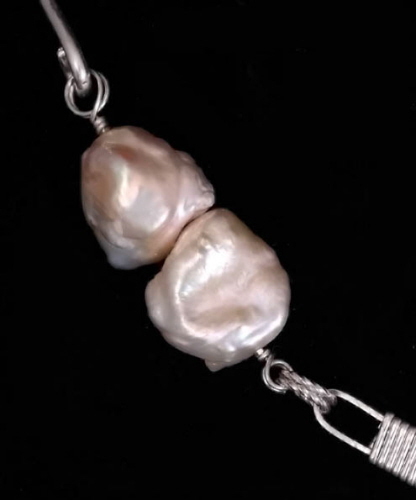 Argentium silver and sterling silver have been used. Square wire has been twisted and used for jump rings. Wire binding is used in construction of the frame. 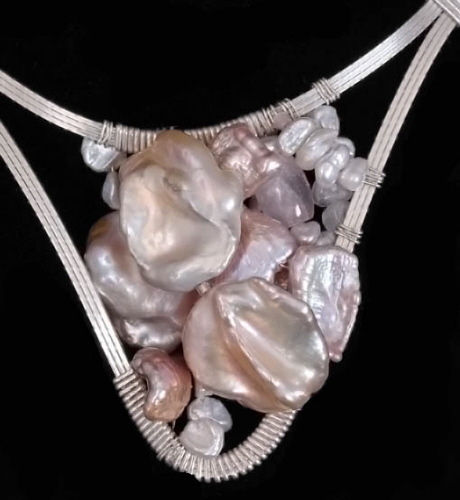 Round wire has been hammered to texturize the back part of this neck piece. 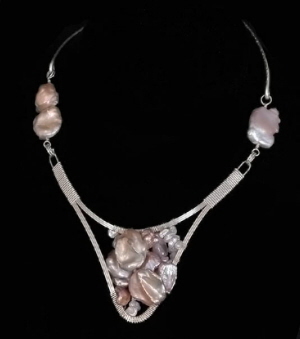 Necklace best fits a neck measurement of 12¾ - 13½ inches. A wire link could be added if a larger size is needed. Weight 1.6 oz.